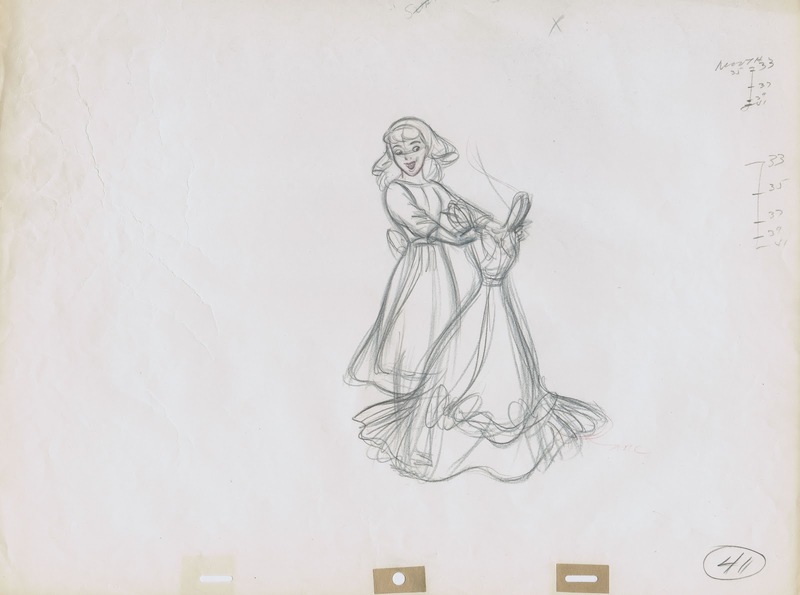 I believe that Cinderella is the most challenging Disney heroine in terms of draughtsmanship. There is no graphic style here "to hang your hat on". 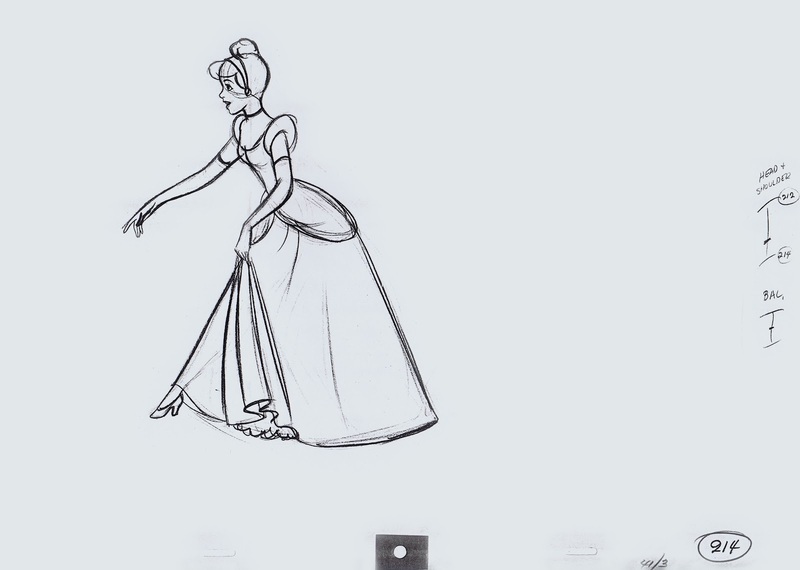 She is just a subtle, realistic and very beautiful concept of a young woman. 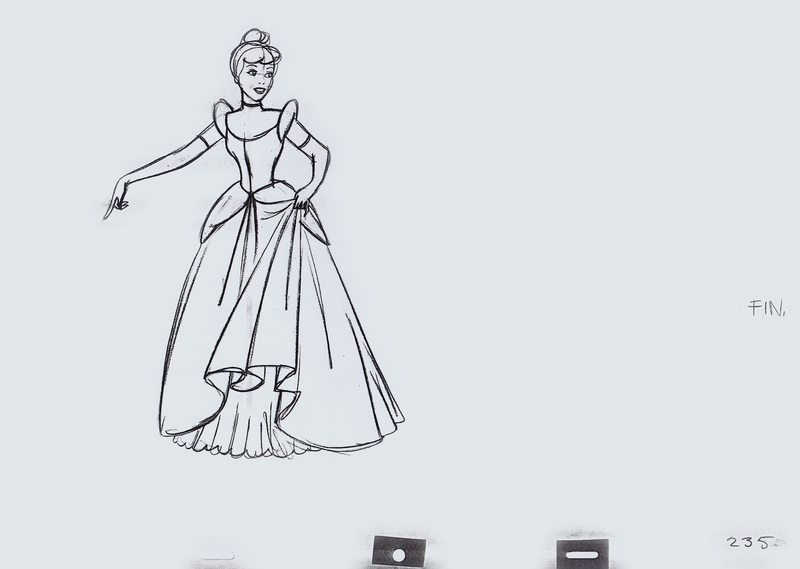 You would have to be so careful defining her face. Eyes, nose and mouth need to be placed within exact proportions or she would look like a different person. 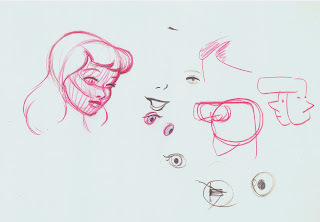 The nose alone is drawn with a minimum of lines. 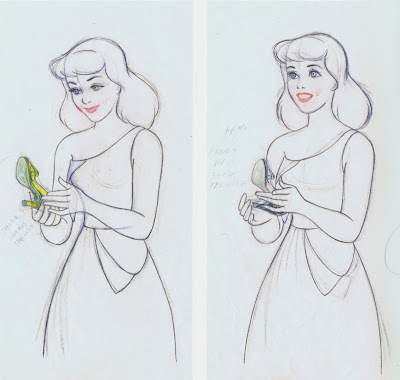 If not positioned perfectly those facial features would float around the face in animation. 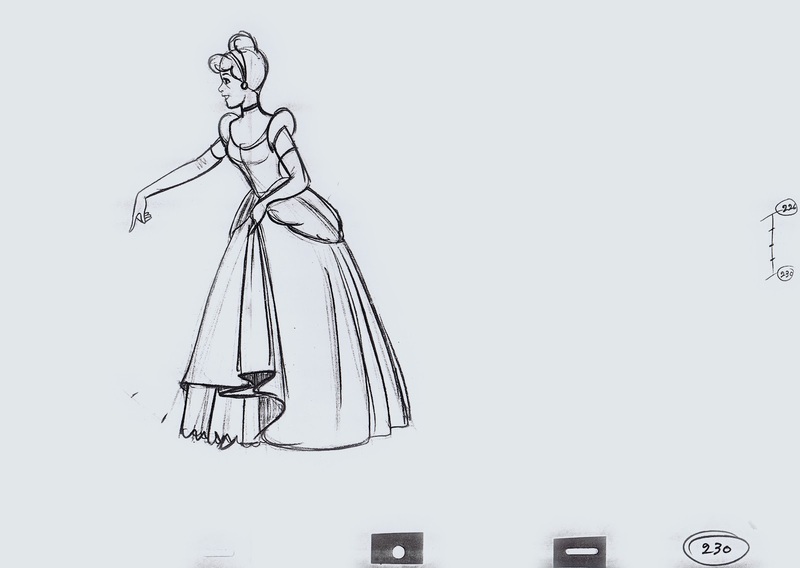 That's why I am astonished that Cinderella looks so consistently appealing throughout the film, there is no off model scene that I can recall. 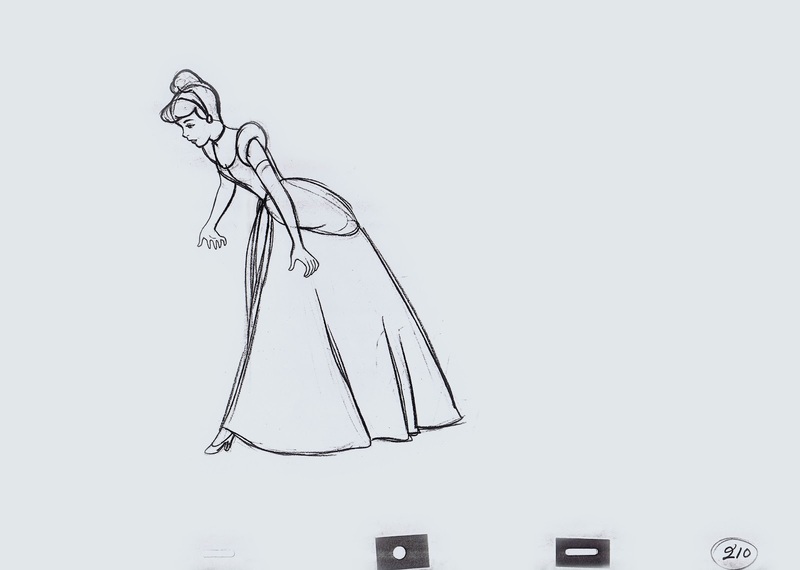 Quite the accomplishment considering the short production schedule. 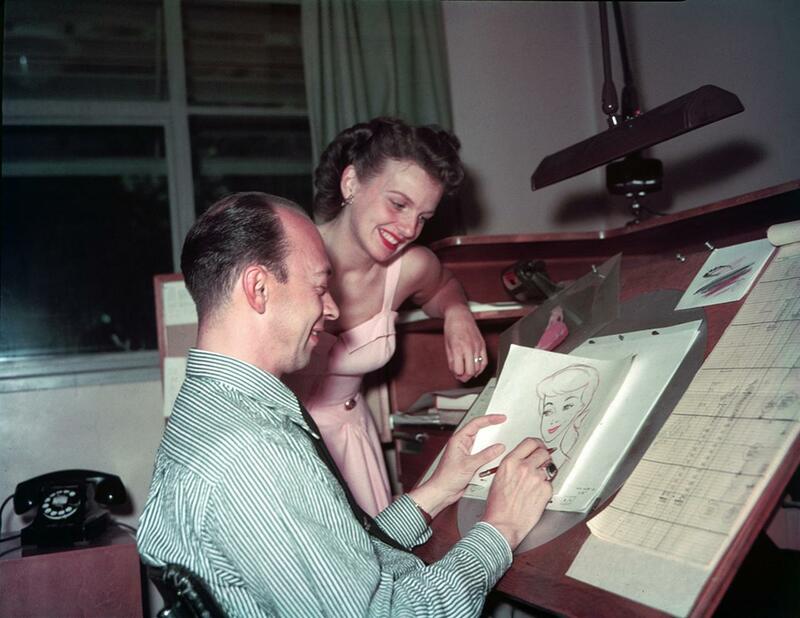 That's actress Ilene Woods in the photo with Marc Davis. 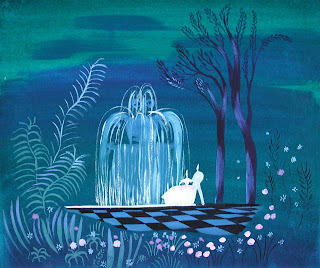 Ilene almost whispered Cinderella's dialogue, which gave the title character such a nice, warm fairy tale quality. 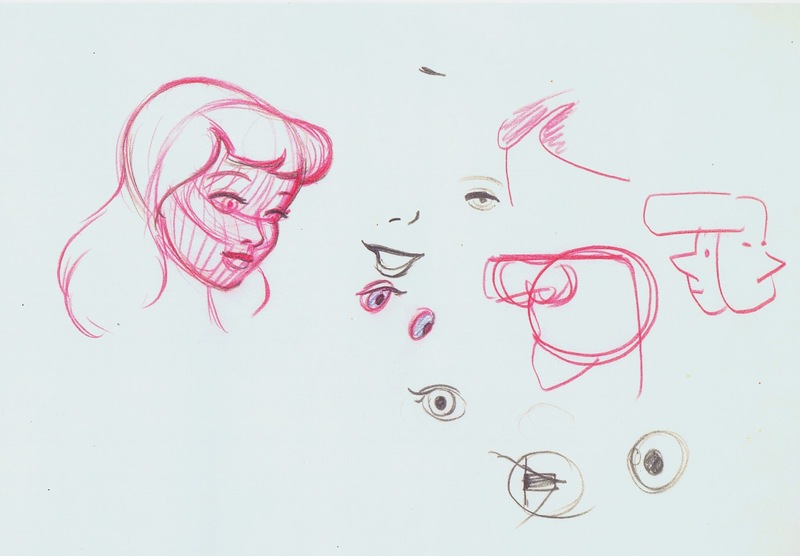 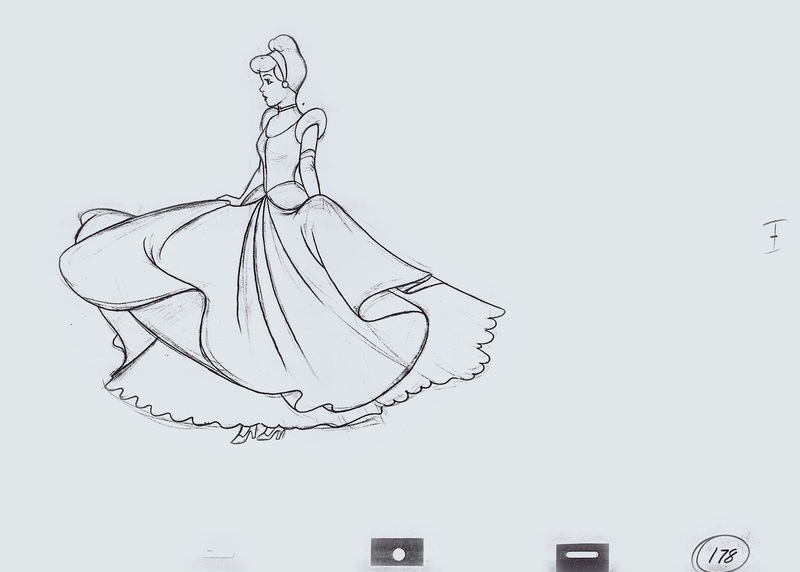 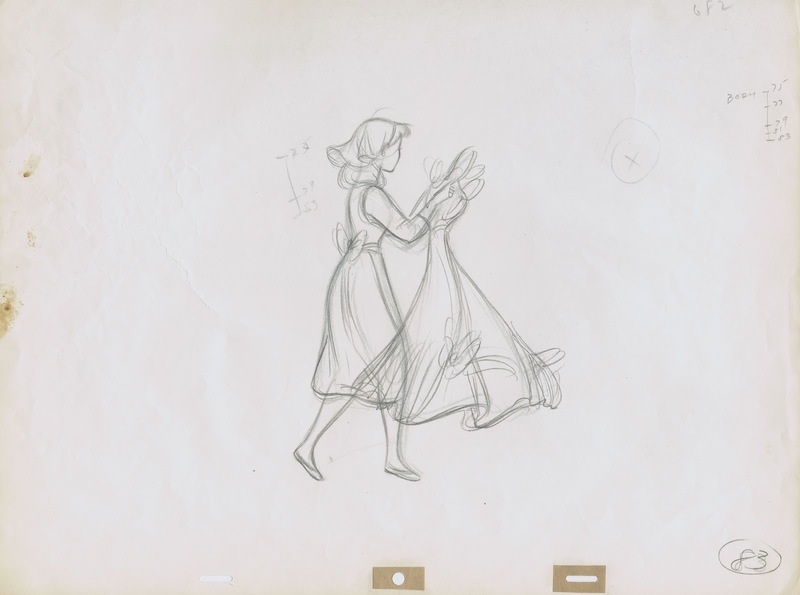 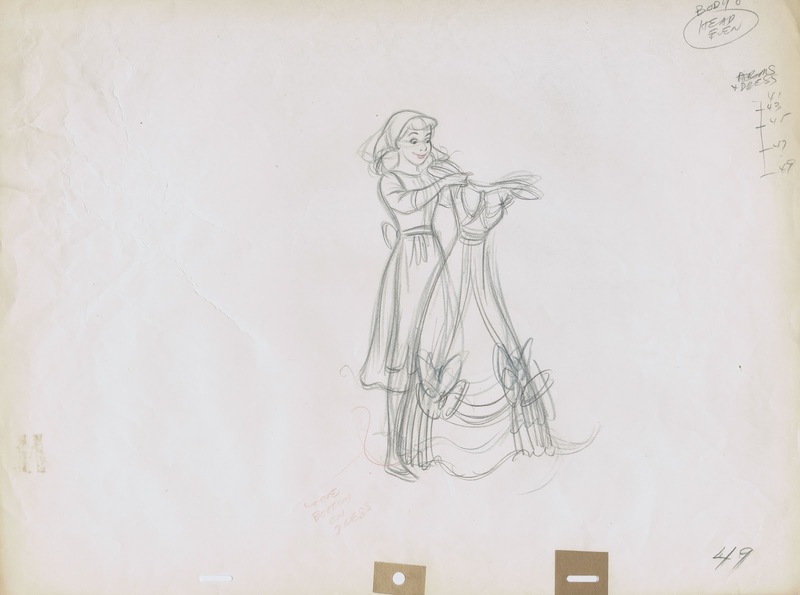 First up a "doodle sheet" that shows Marc exploring Cinderella's face as a sculpture in three dimensions. 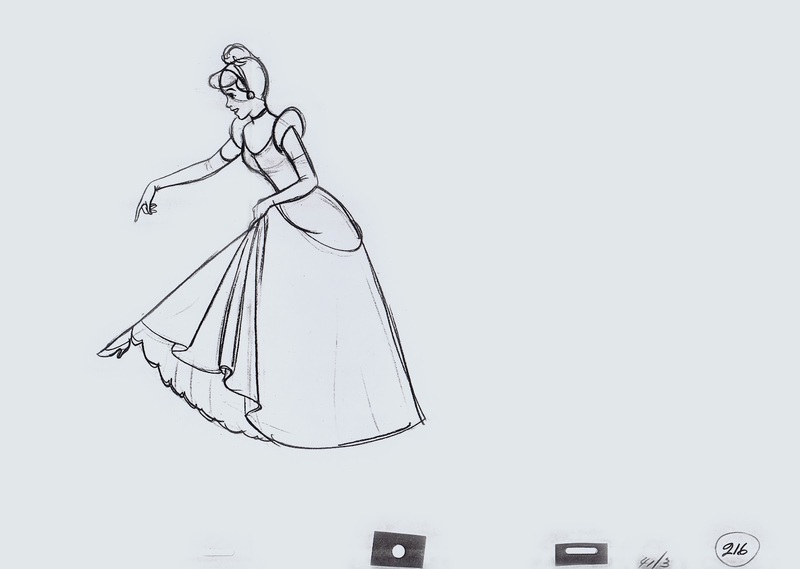 Here are a couple of animation drawings by Marc. This is careful, sensitive perfection. 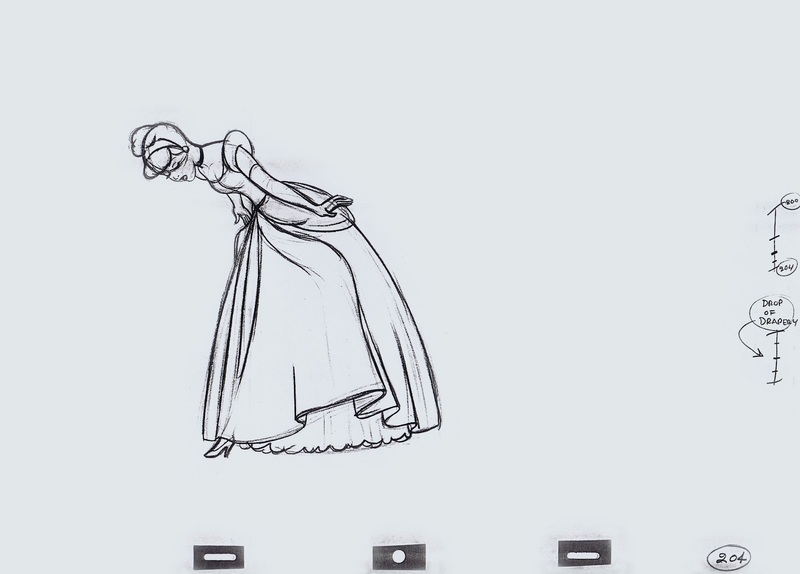 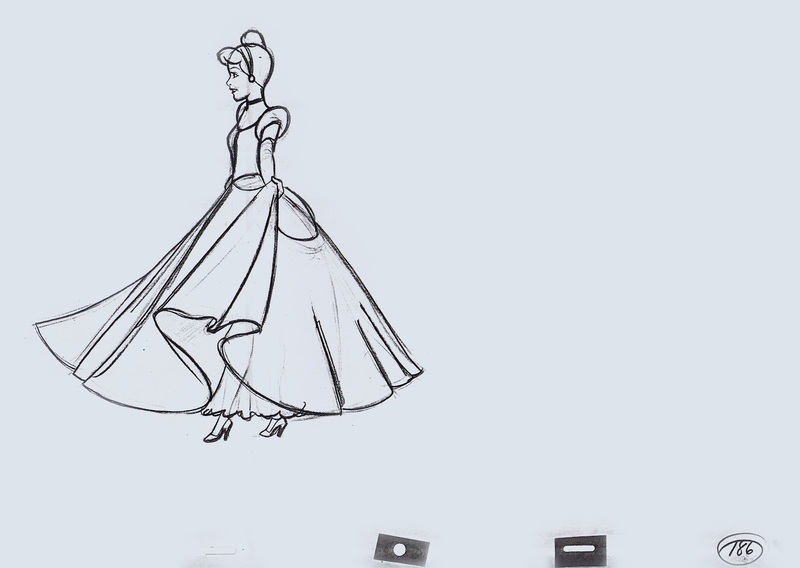 These are copies of Marc's animation keys from the scene when Cinderella has just been transformed and given her knock out dress for the ball. 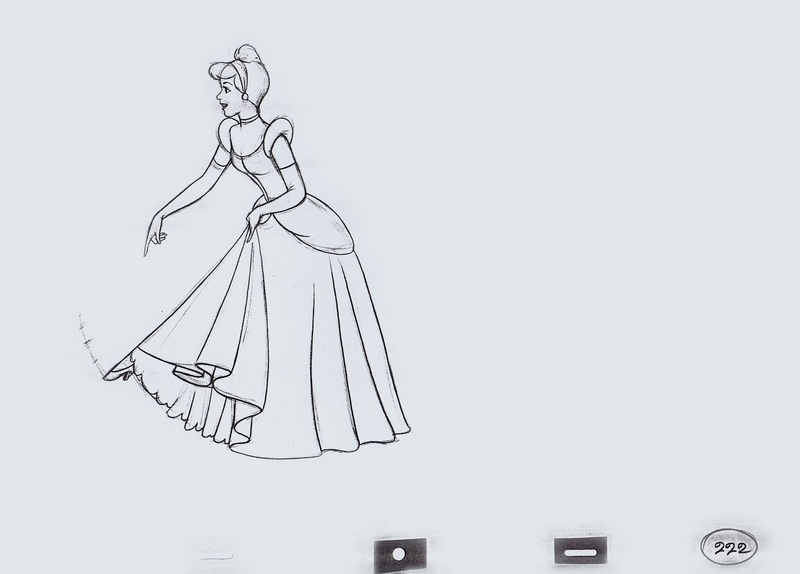 "Look, glass slippers!" 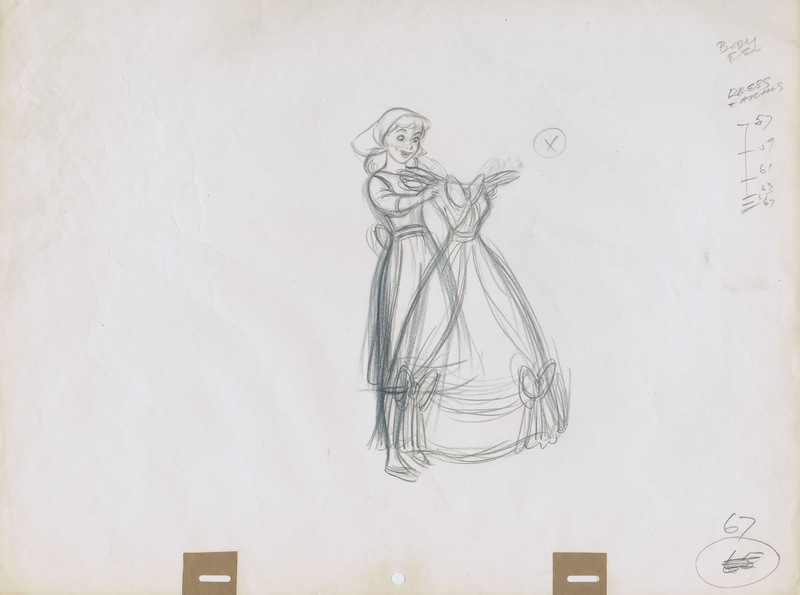 The folds in her dress needed special attention. 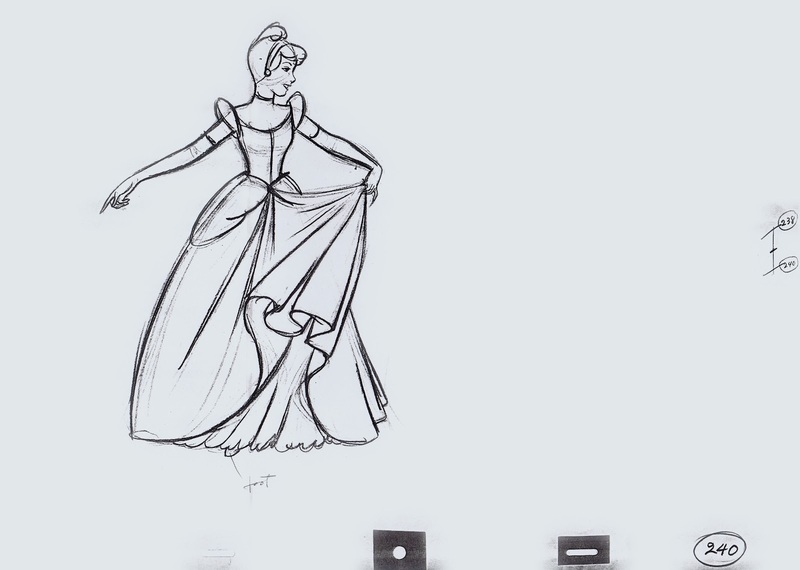 If the material felt too light, she'd be wearing a paper dress, if too heavy, the dress would move as if made out of thick carpet. 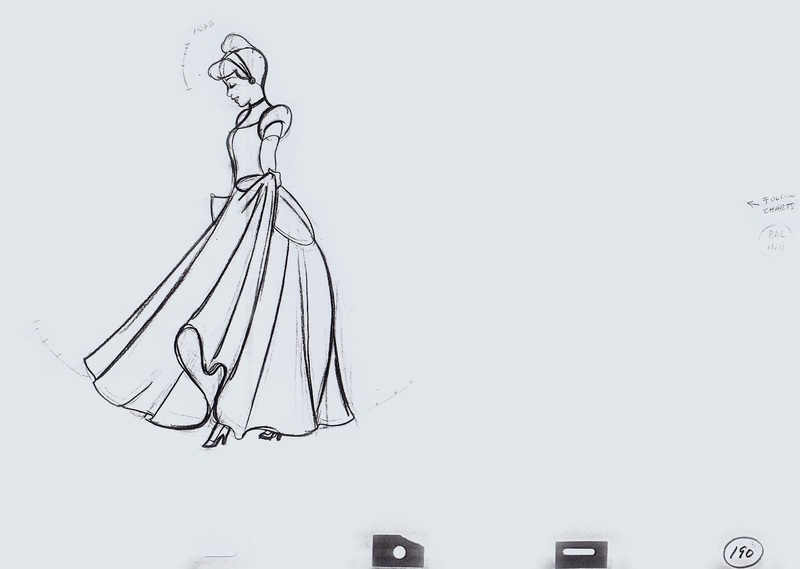 Eric Larson animated a lot of key scenes with Cinderella, including this one, where she admires the dress the animals made for her. 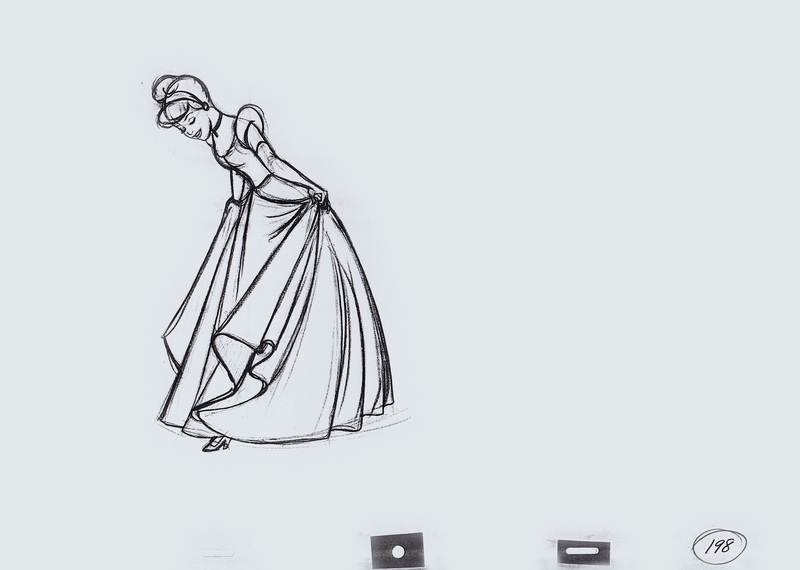 These are Eric's animation roughs. 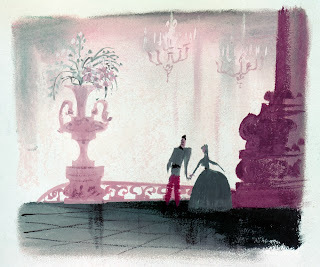 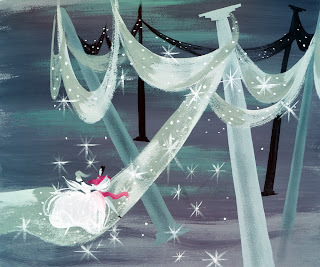 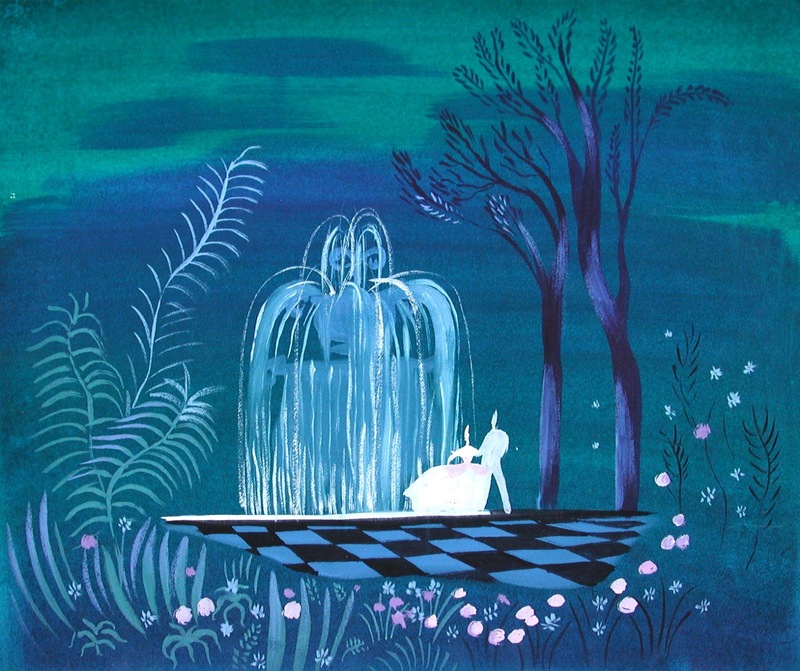 Last not least a few of Mary Blair's stunning concept paintings for the "falling in love'" sequence. 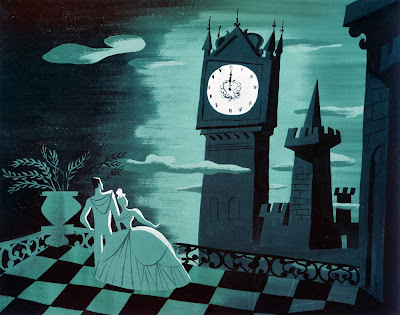 All this stuff would be very corny, even back in 1950, but the artists believed in this story and its characters, and their work shows sincerity.